Founder's Day 2019 celebrated Louise S. McGehee's birthday and honored current students and esteemed alumnae. Elizabeth McIlhenny Rodriguez ‘69 gave the 50th anniversary class remarks and Kimber Ashman ‘09 gave the 10th anniversary class remarks. This year's Distinguished Alumnae Award recipients were introduced by Alumnae Association Co-President, Meredith Maxwell Maxwell Strachan ‘97. 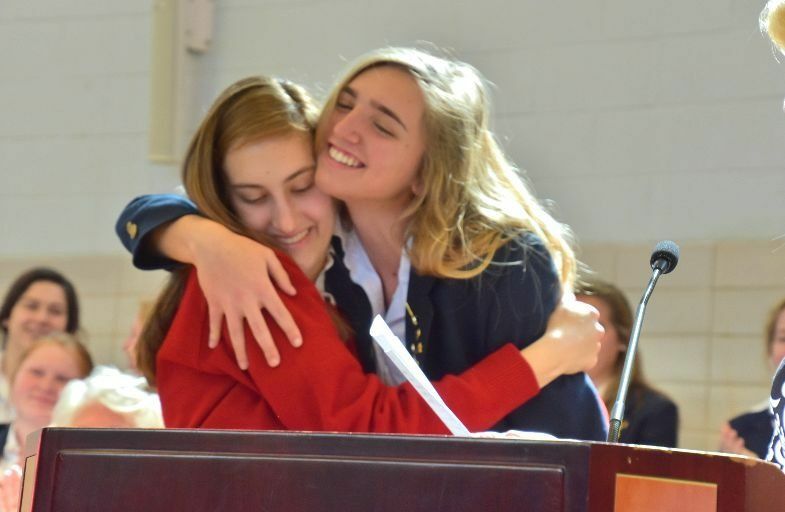 10th, 11th and 12th Grade Citizenship Girls are chosen from girls nominated by their class based upon their service and commitment to McGehee. This year Headmistress Dr. Kim Field-Marvin presented the Jane Pharr Gage '28 Community Service Award to a student. Cece Robert ‘19 was awarded this high honor for her years of service at Hotel Hope.